To discuss and share knowledge about ocean acidification and climate change impacts on the Mediterranean marine environment, over 60 scientists from 10 countries, mainly from the Mediterranean region, met in Barcelona. 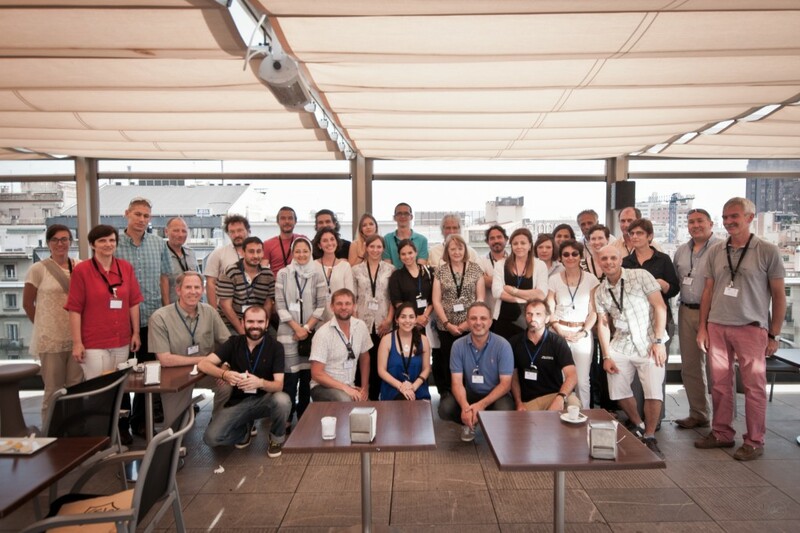 The meeting was hosted by the Autonomous University of Barcelona, from 10-12 June 2014 for the Final Science Meeting of the MedSeA project. The first day was dedicated to the report on the main findings on chemical, climatic, ecological, biological and economical changes of the Mediterranean Sea driven by ocean acidification and warming. From these findings an executive summary including main outcomes (10 FACTS on ocean acidification and warming in the Mediterranean Sea; available soon) was created. The second day was dedicated to the MedSeA dissemination activities, the database and to discuss the knowledge gaps and the possible future activities. The afternoon session was dedicated to the Mediterranean Reference User Group (MRUG) to present the main results and a video about some project activities and to organise the dissemination of results to different stakeholders and decision makers. Finally a press event was organized on June 12th and hosted by the EC delegation in Barcelona.